All year round we will be having fun activities and discounts to celebrate all kinds of different holidays! 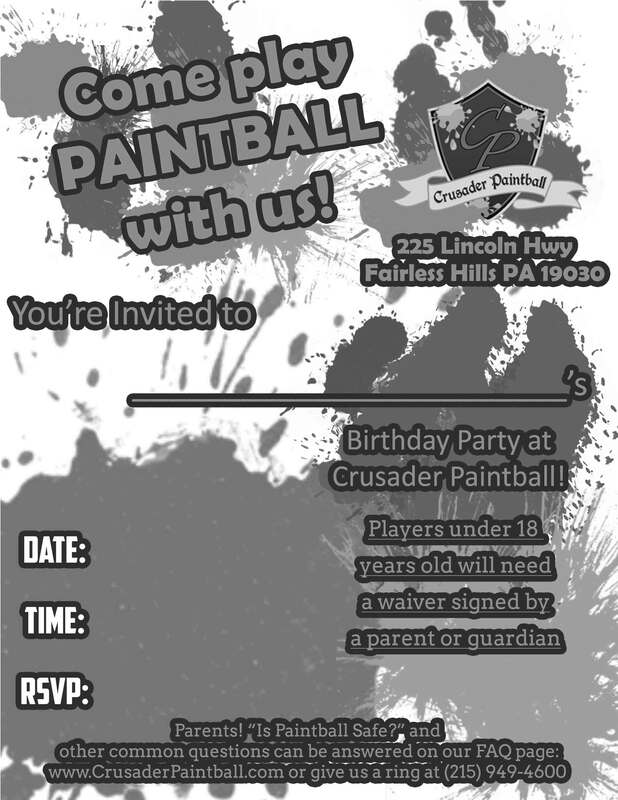 From discounted entry to raffle baskets and giveaways, props and costumes, the fun is with Crusader Paintball Walk Ons. Get your friends and family out to play with these limited-time specials. Unless otherwise noted, these Holiday events are only offered for public Walk Ons, which means no reservations are required. Check back on this page often as we may update and add more events throughout the year! *Dates and Events may change without notice. No signups required for any events. April 20th (Saturday) – Easter Weekend Egg Hunt! – While we may be closed on Easter Sunday, join us Saturday the 20th for an Egg Hunt – Find eggs while playing, win cool prizes! Sunday May 12th – Mother’s Day – Celebrate Mother’s Day with a Gift-Basket Raffle, with tickets included in every Walk On / Rental Walk On package. May 26th and 27th – Memorial Day Weekend – Get free entry to Walk Ons (or $25.00 off Rental Walk On Packages) with a Military I.D. 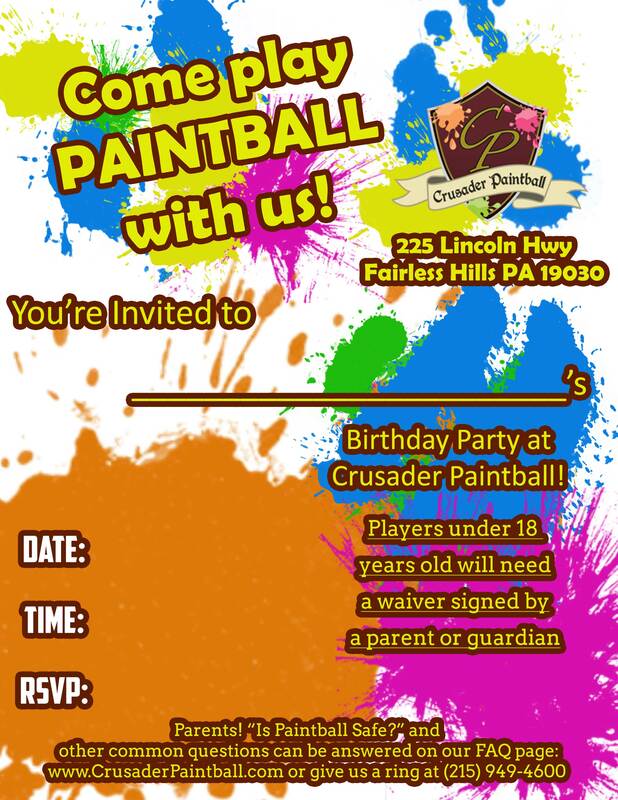 July 4th – Independence Day – Free Paint Grenade with every bag of Walk On Paint purchased. Let Freedom Ring with a Splat! Christmas – Our Gift to You – Freebie Stockings (squeegees, barrel covers, thread protectors, etc). Ugly Christmas Play Day.